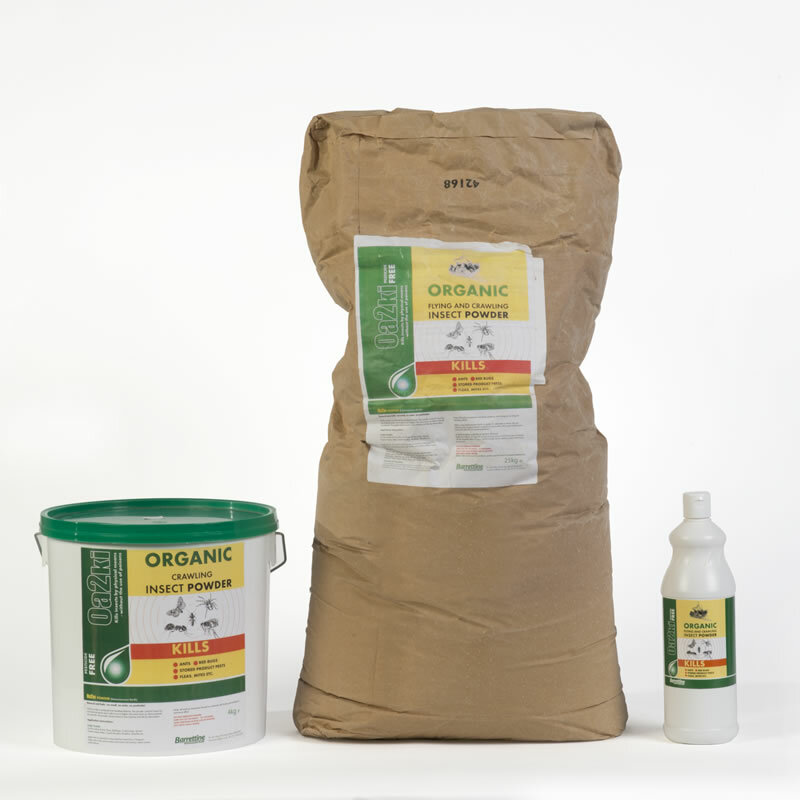 Oa2ki (Organic agent 2 kill insects) ready to use trigger spray is the ideal product to use in or around the house in the treatment of flying and crawling insect infestations. Shake bottle well before use. If possible spray the product directly on to the insect pest, or the areas they frequent. Oa2ki can be used both indoors and out. Ants:Spray the entrance to the ants nest and, if possible, open the nest and spray product directly on to the eggs. Indoors apply product where trailing ants are seen. Fleas:Oa2ki can be sprayed directly on to pet bedding, and is effective against flea adults, larvae and eggs. Other Pests:Product can be applied to cracks and crevices where insects may hide or enter the home. Please Notes: If problem persists, repeat treatment weekly. As this product works by physical means, without the use of poisons, control of pests may take slightly longer. Avoid spraying near highly polished wax surfaces.Do not spray directly on to pets or livestock do not spray directly on to plants. Product may mark or darken absorbent surfaces. These marks should disappear within a few days, but if in doubt, spray a small test area first. Contains natural plant oils.